John Schindler began playing the piano at age six and currently studies with Matti Raekallio at the Juilliard School. John has received top awards in competitions, including being selected as a 2017 YoungArts National Finalist. 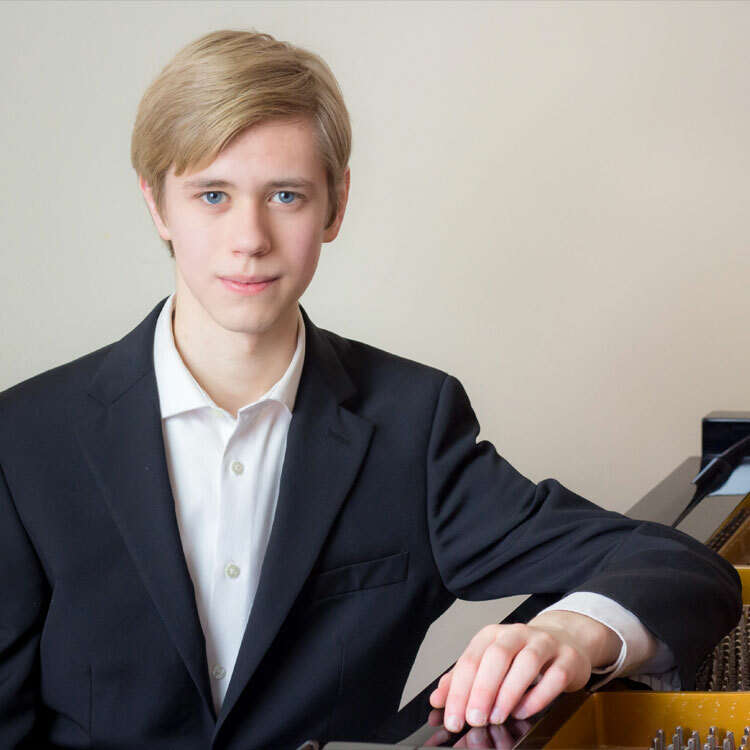 In 2016 John was the third prize winner and recipient of the Best Performance of a Duo and Wisconsin Contestant awards at the PianoArts North American Competition, where he was the youngest semifinalist; previously, he has won the Theodor Leschetizky Concerto Competition, the Stillman Kelley National Music Competition, the Brevard Music Center Concerto Competition, and the Wisconsin Youth Piano Competition. As soloist, John has performed with the Milwaukee Symphony Orchestra, the Brevard Music Center Orchestra, Camerata New York, and the Wisconsin Chamber Orchestra. John’s performance of the Schumann concerto with the Wisconsin Philharmonic was broadcast on Milwaukee Public Television last December. Among the festivals John has attended are Orford Musique, the PianoTexas Young Artists Program, YoungArts Week, and Southeastern Piano Festival. John has performed in master classes for teachers such as Joseph Kalichstein, Yoheved Kaplinsky, Julian Martin, Robert McDonald, Jon Nakamatsu, John O’Conor, and Nelita True. A graduate of the Music Institute of Chicago Academy pre-college, John’s former teachers include Alan Chow in Chicago and Margarita Kontorovsky in Wisconsin.